"I need you to try to get the hell out of that elevator." 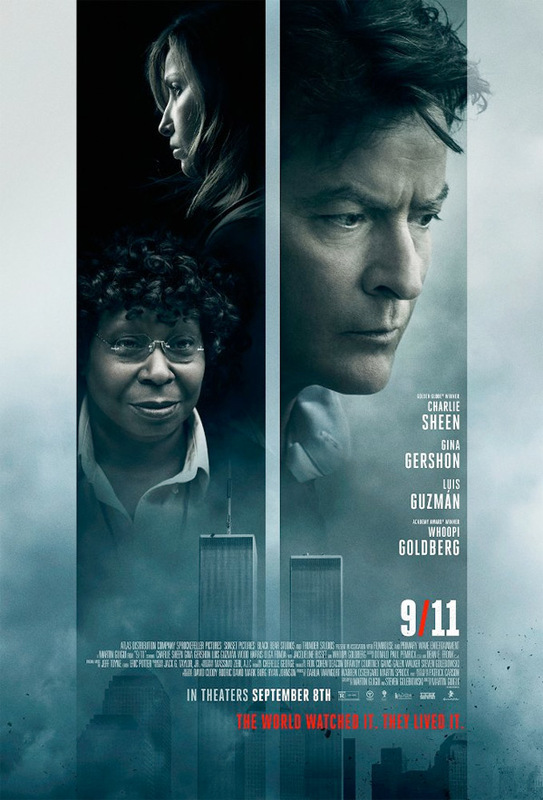 Atlas Distribution has premiered a trailer for a new drama titled 9/11, telling the story of five people trapped inside an elevator in the World Trade Center's North Tower on 9/11. They work together, never giving up hope, to try and find a way out safely. It's only been 16 years, but I guess we've reached a point where movies can literally use the 9/11 date as their title when telling a story centered around this horrific moment. The ensemble cast of this film includes Charlie Sheen, Whoopi Goldberg, Luis Guzman, Gina Gershon, Wood Harris, Jacqueline Bisset, Olga Fonda and Bruce Davison. It's directed by Martin Guigui, the same guy who made the unofficial Raging Bull sequel The Bronx Bull. The final shot in this trailer is totally crazy, and potentially a spoiler? Watch out. A group of 5 people find themselves trapped in an elevator in the World Trade Center's North Tower on 9/11. They work together, never giving up hope, to try to escape before the unthinkable happens. 9/11 is directed by Argentinian filmmaker Martin Guigui, of the films Beneath the Darkness, Benny Bliss and the Disciples of Greatness, Cattle Call, Swing, Changing Hearts, and also this year's The Bronx Bull previously. The screenplay is written by Martin Guigui and Steven Golebiowski. Produced by Warren Ostergard, Dahlia Waingort, and Martin Sprock. The Atlas Distribution Company will release Guigui's 9/11 in theaters starting September 8th later this fall. For more updates, follow @AtlasMovies. Anyone interested in seeing this?